To the dismay of its loyal customers, one of Copenhagen’s most legendary cafés is shutting its doors after 41 years of operations – bringing an end to an era. Opened by artist Kenn André Stilling in 1976, Café Summersko not only enjoyed the reputation of being the oldest Parisian-style café in Copenhagen, but was also said to be the first-ever of its kind in the whole Nordic region. Well-known for its distinguished interior, French cuisine and aromatic cappuccino, the café was a favourite among both locals and internationals for its classic Scandinavian brunch. Owner Bahram Sari Beliverdi said the decision to shut the cafe down was due to financial reasons. 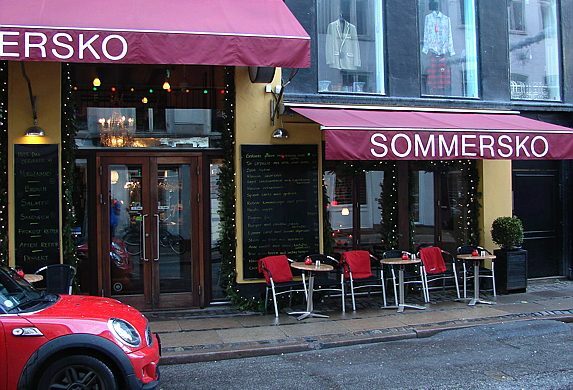 “It is with great regret that I have to announce that Café Sommersko can no longer be maintained economically,” he stated. Beliverdi, who also runs a series of other cafes in the capital, took over Café Sommersko in 2011 and explained that the restaurant had recently experienced a gradual fall in revenue. He also blamed poor decision-making by the management for the closure. The Kronprinsensgade premises of the old gastronomic haunt have been sold to restaurateur Anders Jørgensen who will convert the cafe into a restaurant called Mät 99. “I think the rooms are amazing, but Café Sommersko does not really fit into my style,” Jørgensen told Politiken. He said the new restaurant will be redecorated as an 1980s-style fast food restaurant but with gourmet food.